Amir Khan 33-4 (20) has scored a major win in his bid for a big fight with local rival Kell Brook 37-2 (26) after the Sheffield boxer reportedly agreed to a 10-pound rehydration clause for their all-British welterweight battle in 2019. Promoter Eddie Hearn of Matchroom Boxing has been working hard behind the scenes to put the long-awaited fight together. The major sticking point has always been the weight, with Khan insisting on 147-pounds while the 32-year-old Brook has wanted the fight at 154-pounds. The proposed solution would see the fight take place at welterweight with neither boxer allowed to weigh more than 157-pounds when they enter the ring. “Obviously me and Brook are with Eddie Hearn,” said Khan on the Ringside Toe 2 Toe podcast on Sky Sports. “I’ve left that to Eddie to do all the negotiations, to speak to both parties, to speak to his trainer, his manager, himself. “But look, it’s a fight I would love to have, and I think it would make a lot of money financially for both fighters, but at the same time it would be a massive fight in the UK. “It’s a fight that the fans want. Why not make it happen? “Nothing can stop it. He’s agreed to be 147, and also have a rehydration clause of 10 pounds. I’m happy with that. The 31-year-old Bolton boxer has long been chasing a fight with Manny Pacquiao but with the Filipino boxing legend looking towards a rematch with bitter rival Floyd Mayweather Jr in 2019, that fight looks unlikely. With the Pacquiao fight off the table, Hearn has turned his attention to the Khan-Brook showdown in the new year. “It looks like Pacquaio-Mayweather could happen in the spring, which means December won’t happen,” said Hearn to the Mirror. “I’ve spoken to Amir and we’re looking at the Brook fight. Hearn had promised to deliver Khan a big fight in December but the crowded boxing calendar in that month has necessitated the move to 2019. 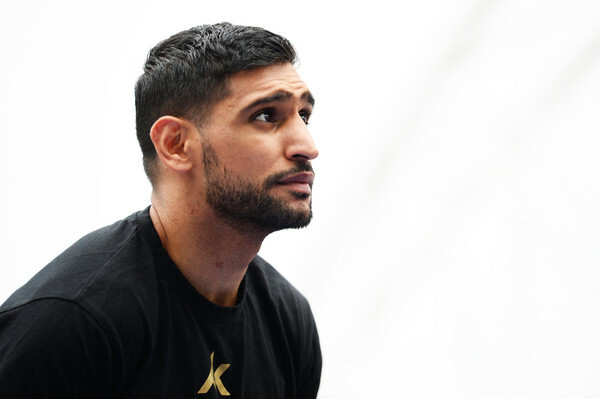 Khan is comfortable with the move as it will allow for a longer training camp and promotional campaign. “This year, I think will be difficult,” said Khan. “It will be probably next year, because we are coming towards the end and obviously we would want to promote that fight to be a mega-fight.